I found this shot on my camera yesterday and decided to give it some life. Ironically, I had also come across an article portraying Liverpool's past the same week which gave a brief history on the Liver Birds. Unknown to myself, there are actually four (cormorants?) 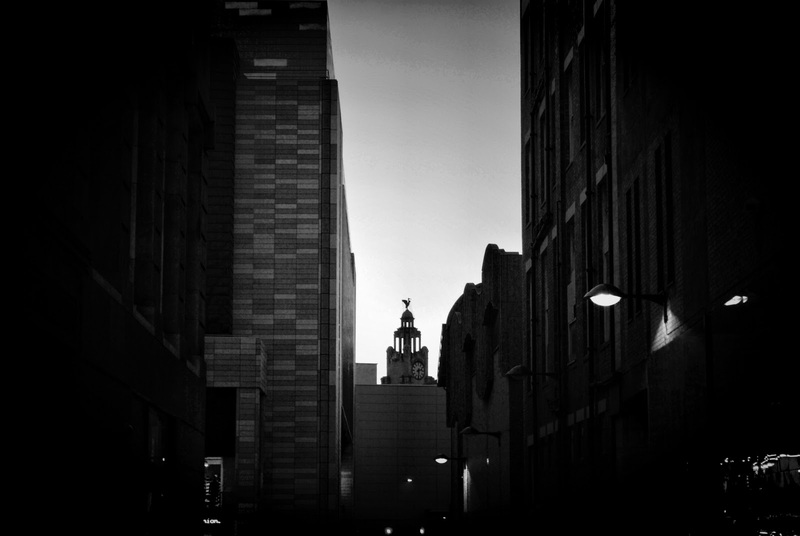 Liver Birds throughout the city; the two iconic marvels as well as one perched on top of the Mersey Chambers office. The fourth -a small stone version- was originally on top of the original St John's Market building until 1964 when it was demolished- it now resides in the Liverpool Maritime Museum. i love how central the liver bird is in the this image, it really does appear that it is looking down over Liverpool :) makes me want to get my cameras out and start taking more pictures! Nice legend that Jamie. Never heard it before.